It was announced this week, that Transport Infrastructure Ireland (TII) will be handed the lead role in delivering the remaining sections of the Dublin Galway Greenway. Minister Ross was at the opening of the Garrycastle to Whitegates National Cycle Network in Athlone on Friday 7th April. 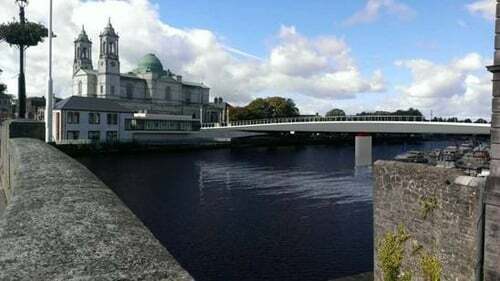 According to recent reports in theShannonaide news, a new bridge across the Shannon in Athlone for the Dublin Galway greenway will open in two years. This is according to Michael Kelly, who’s a senior executive engineer with Westmeath council, and who’s co-ordinating the entire greenway from Dublin to Galway. Works are taking place this weekend to make an underpass for the greenway under a railway bridge, and this will then allow work to begin to bring the cycling and walking trail from just outside the town right into the centre, and down to Athlone marina. 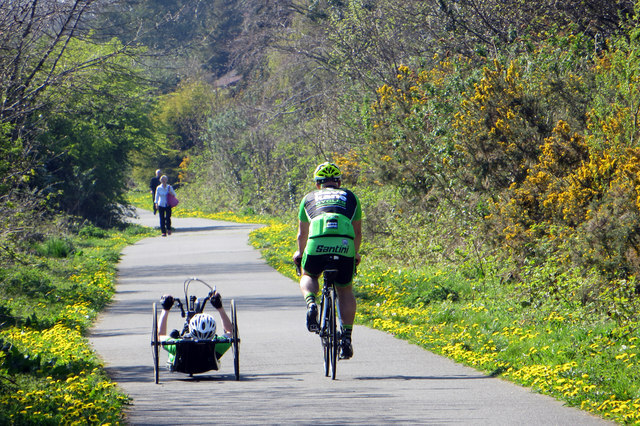 At the launch of the highly anticipated greenway strategy last week Minister Shane Ross announced €53m funding for Greenways and highlighted his renewed focus on completing the Dublin Galway Greenway. The new greenway strategy sets out to defined what are strategic, national and regional greenways. 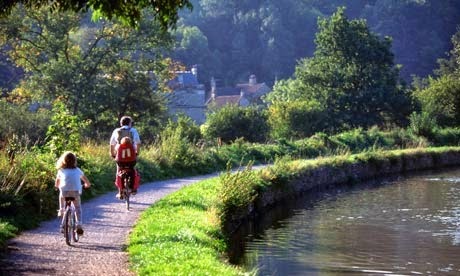 Greenways of over 100km in length will be of national strategic importance and will be given priority in funding. The Dublin Galway greenway is being highlighted as of strategic importance and Ross said that “It is certainly our ambition that there will be at least one greenway that is coast to coast,” and later explained that tourism research indicted the need for such a project and stating his preference for a Dublin to Galway route. The minister also said that “It is most important that there is at least one icon project on which the others can be built and that is what the research shows and this is something that is going to appeal to a large number of people and benefit the midlands and the Hidden Heartlands" Mistakes in the past were addressed in the strategy with a much clearer Code of practice being developed for Greenways and also a more transparent and structured consultation process with landowners. The Irish Farmers Journals reports that the minister Ross reiterated that "we are absolutely determined that in-sensitivities that we’ve shown to the farming community will be resolved. And we accept in the past there might have been a lack of sensitivity". However, there are still some obvious concerns from the farming communities on what they fear may be the use of Compulsory Purchase Order (CPOs) in future greenway projects. It was announced this week, that Transport Infrastructure Ireland (TII) will be handed the lead role in delivering the remaining sections of the Dublin Galway Greenway. It is hoped the TII's expertise in delivering national infrastructure projects and their ability to negotiate with landowners will help break the current empass. Furthermore, the dept of Transport and Tourism will soon release it's national greenway strategy which is likely to address how best farmers and landowners can be adequately consulted with and compensated for route options. Plans for the western end of the coast to coast greenway were halted in 2015 as landowners in West Galway strongly opposed the routing of the route through their land holdings. The then minister of transport, Paschal Donohoe, decided to pause the project and direct the allocated funding to the eastern end of the project. Kildare, Meath councils were allocated funds to complete their section of the Royal Canal Greenway which as part of the Dublin Galway route. Since 2015 great progress has been made on the Royal Canal greenway and it is now almost entirely complete from Maynooth to the Shannon in Longford. There is just one remaining section between Kilcock and Enfield that remains to be completed and is currently in the planning process. The Royal Canal greenway in Dublin, however, has not made as much progress. Fingal have awarded the design of the section between Castleknock and the Kildare border to consultants who are currently producing a design for the challenging section of the "Deep Sinking". Cllr. Roderic O'Gorman, a proactive councillor from Dublin 15, has been keeping the issue raised at the Fingal council meetings. The Royal canal greenway project which was also previously stalled in Dublin City has had some great news. In recent weeks there has been great news for the project with funding being announced to complete the Royal Canal cycleway from Ashtown to Dublin City. The Dublininquirer reported that the National Transport Authority (NTA) is to allocate €1.45 million for the Royal Canal cycle route as part of the set sustainable-transport projects this year. The royal canal cycleway in Dublin City is being advanced in 4 phases. Phase 1 running from Guild Street to Sheriff Street Upper is already constructed. Phase 2 runs from Sherrif St to North Strand Rd. Phase 3 is from North Strand Rd to Phibsborough Road, Dublin 7. Phase 4 runs from Phibsborough Road, Dublin 7 to Ashtown in Dublin 15. Details of the phases can be found here. The following update is thanks to Cllr. Ray McAdam on his website. "Since my last update on the delivery of a dedicated cycle and pedestrian route along the Royal Canal, a number of issues have arisen which have delayed construction work on the project to begin. Dublin City Council has added the upgrade of a road junction to the Phase II programme of works. The initial phase of the tendering process has now been completed with Council officials expecting the second stage to start in November. All going to plan, it is anticipated that construction can begin on March 29th 2018. In terms of Phase III of the project, between the North Strand Road and the Phibsborough Road, the Council has had to review the documentation surrounding the cost of the project, meaning that tender documents should now be issued in December 2017. It is anticipated that the Contractor will be on site before the end of April 2018. The project requires certain approvals from Waterways Ireland. We have made the relevant submissions to Waterways Ireland. It is normal that most decisions are referred to the North South Ministerial Council. The absence of a Government in Stormont poses a serious risk to the start date. The Contractor cannot start until all licences and easements from Waterways Ireland are in place." Thanks Ray for the update. According to Minister Ross, the eagerly awaited public consultation on future greenway development will begin in the coming days. Minister Ross has had discussions on the proposed approach with many stakeholder including the Cabinet Committee on Rural and Regional Affairs. In response to a Dail question, he said that he will be launching a public consultation process in the coming days to inform the development of the Strategy and all interested parties will have the opportunity to give their views as part of the public consultation process. The public consultation process will last for 6 weeks and he is urging all those interested in the subject to submit their views on it. These will be taken into account in finalising the Strategy and he expects that this will be completed and the Strategy published by the end of the year. “By 2018, it will be possible to cycle from Dublin to Athlone almost entirely off-road thanks to Greenways" say Minister Ross who was speaking at the opening of the latest section of the Dublin Galway greenway. Minister Ross was at the opening of the Garrycastle to Whitegates National Cycle Network in Athlone on Friday 7th April. The project is an extension of the 42km Mullingar to Athlone Greenway officially opened in 2015, which in turn is part of the Dublin to Galway Greenway. The 2.2km cycleway/greenway from Garrycastle to Whitegates was completed by Westmeath County Council after it was awarded €496,187 in July, 2016 from a reallocation of National Cycle Network. The fund was reallocated from the western end of the Dublin Galway greenway which has met opposition from landowners. Minister Ross was particularly supportive and impressed with the forward thinking approach of the Westmeath, Longford, Meath and kildare councils in looking to these new cycle-ways as an opportunity for tourism. He said that "Athlone and Westmeath are very much at the centre of things when it comes to greenways – we have the continuation of the Royal Canal Greenway from Mullingar to Ballymahon in Co Longford as well as the Old Rail Trail and we are working on completing the sections in Kildare and Meath so that by 2018 it will be possible to cycle from Dublin to Athlone almost entirely off-road." Longford/Westmeath Independent Alliance TD, Kevin ‘Boxer’ Moran also attending the opening and commented on the benefit to local people of these greenways. ‘Boxer’ Moran said the new Greenway will not only benefit people living in the area but tourism in the region. “It will attract new people to visit the area. It is also providing an amenity for local people to walk and cycle on and it is also making it easier and safer for people to cycle to work and school,” Deputy Moran said. Deputy Moran said the next stage of the Greenway includes a new cycle bridge across the Shannon at Athlone. The Dublin Galway greenway in Westmeath, Longford, Kildare and Meath have featured highly in a recent list of projects funded by government since 2009. Responding to a Dail question from TD Jan O'Sullivan, Minister Ross released details of greenway projects. 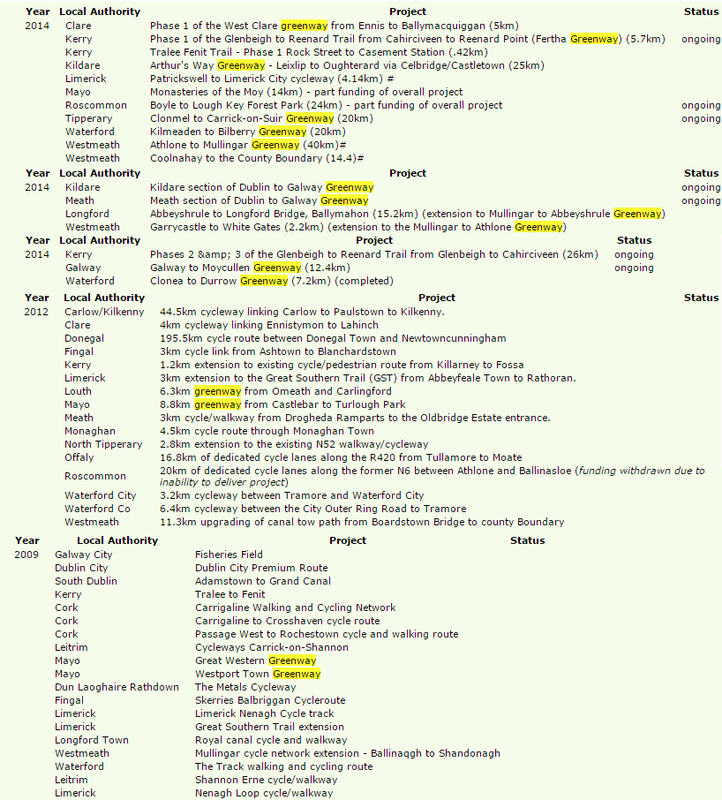 While not all of these are off-road, Minister Ross went on to say that "the projects constructed to date with funding from my Department are a mix of on-road and off-road and while some cannot be considered 'greenways' in the strictest sense they do feed into the expansion of a network of cycle routes"
The counties of Longford, Westmeath, Meath and Kildare featured highly in the funded projects and it is clear from the information that these counties have made considerable progress once the funding became available. 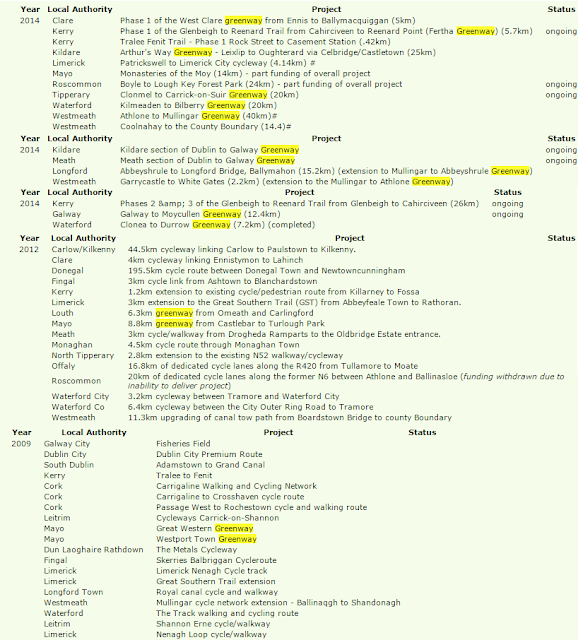 The entry in 2012 for a cycleway on the N6 will be of particular interest to followers of this blog. Objectors to the East Galway section of the greenway such as the IFA have suggested that the route could be put on the N6. However, the information from Minister Ross appears to indicate that a plan to put 20km of dedicated cycle lanes on the N6 was cancelled due to inability to deliver project. YOU ASKED: WHAT’S GOING ON WITH THE DUBLIN GALWAY GREENWAY?